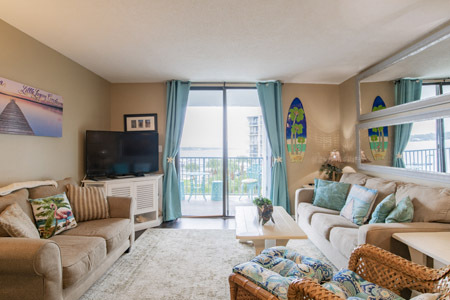 This is a beautiful, comfortable, relaxing two bedroom, two bath, condo on West Beach in Gulf Shores, Alabama. 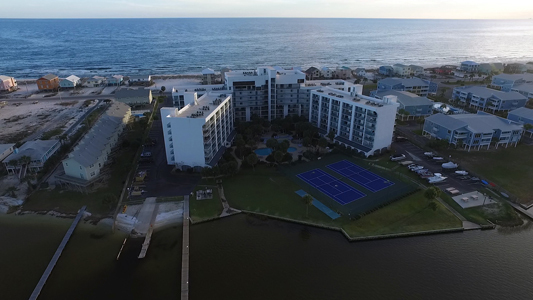 It is uniquely located so that the back of the condominium complex is directly on Little Lagoon and the Gulf of Mexico is directly across the street from the front of the complex. With the beach, a boat launch, and fishing dock all available, it truly is the best of both worlds. We have tried to make every aspect of the condo as nice as humanly possible. It has new furniture, granite countertops, and two new 50 inch Smart HD televisions plus WiFi. The unit has its own very fast Internet connection. The balcony is large and has a great view of the pool and the Little Lagoon. It is just a really great place to hang out and we do it very frequently. When we are not using it, we rent it out. We hope you'll try it. We know you'll like it. 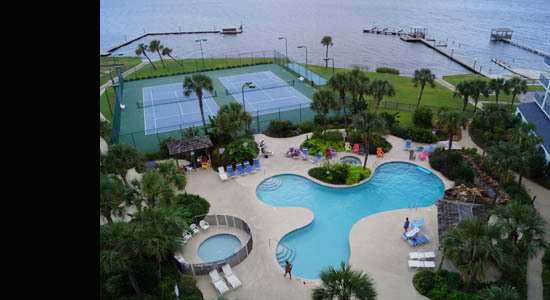 The Gulf Shores Surf and Racquet Club complex has a beautiful pool, a children's pool, a hot tub, tennis courts, boat launch, boat docks, fishing docks, charcoal grills, shuffleboard, and two lit tennis courts. 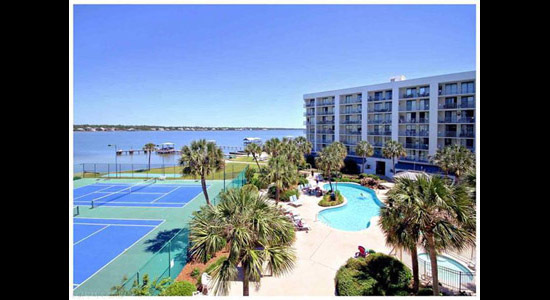 It sets directly on Little Lagoon and the Gulf beach is just steps away across the street. It is a really, really, great place to relax and unwind. 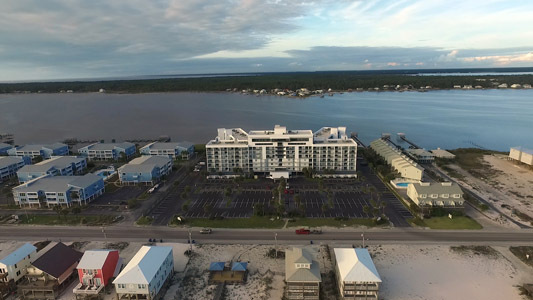 The Gulf Shores Surf and Racquet Club Condomnium Complex is located 3.3 miles west of US 59 on West Beach Boulevard in Gulf Shores, Alabama. This two bedroom, two bath unit is on the fourth floor of a seven floor complex. The 179 unit complex has plenty of parking, two pools, a hot tub, two docks, a boat launch and four elevators. It is a fabulous place to relax and enjoy a great vacation. The red marker shows the location of Gulf Shores Surf and Racquet Club.